An intresting Article just read in the The Hindu News paper, about the Presidents of India who has been visited Yadagiriguta in last 6 decades of Indian History. thought to share with you all. 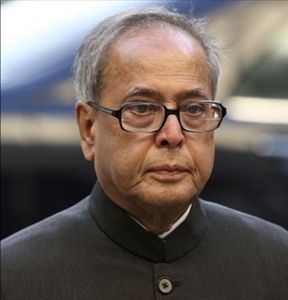 President Pranab Mukherjee would be the fourth Indian President to visit Yadagirigutta hill shrine after the first President Babu Rajendra Prasad, his successor Sarvepalli Radhakrishna and ninth President Shankar Dayal Sharma. The President’s visit is after a gap of two decades since Shankar Dayal Sharma visited the temple way back in 1995 and took part in ‘Koti Kunkumarchana’ puja. Babu Rajendra Prasad visited the temple in 1959 while Sarvepalli Radhakrishnan made a visit to the hill shrine after a gap of four years in 1963. For 32 long years , no Indian presidents had visited the temple town till Mr. Sharma's visit in 1995. As part of his visit on July 3, the President would lay a foundation stone for construction of an orphanage at Yadagrigutta, Goshala for cows apart from launching the ‘Telanganaku Haritha Haram’, a massive plantation drive being taken up by the Telangana government. The sources in the temple town said that except N.T. Rama Rao, no Chief Minister visited the hill shrine till Telangana Chief Minister K. Chandrasekhar Rao visited in last October . After his decision to develop the Yadagirigutta on a par with Tirumala, Mr. Rao made six visits. His July 3 visit to Yadagirigutta would be Mr. Rao’s seventh visit . Meanwhile, officials said that Chief Secretary Rajiv Sharma, DGP Anurag Sharma, Chief Conservator of Forests, Principal Secretaries of Endowments, Forest departments and a host of officials would be visiting the hill shrine to review the arrangements . The top officials of the State government would finalise everything on Thursday according to which the district administration, police and temple authorities would work in tandem to make arrangements for the high-profile visit.